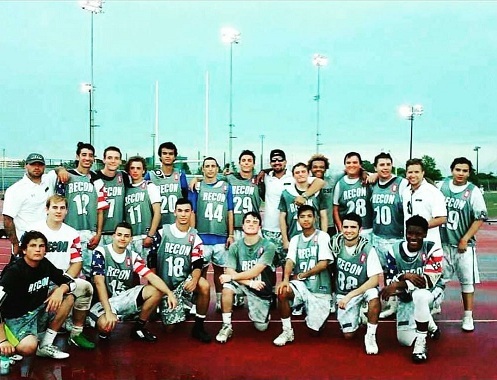 Recon Travel Lacrosse is a Long Island Based Travel program that is in its 8th year. Recon Travel Lacrosse’s main objective is to help players at the Youth and High School level to participate in a program that will enhance their playing skills, competitive spirit, leadership skills, and overall teamwork to become one of Long Island’s Finest Student Athletes. At Recon Lacrosse, we do not believe in a full year program. We encourage our youth athletes to experience a wide variety of athletics. There is a great deal of lessons to be learned from participating in multiple sports as a child and adolescent. Make lacrosse a part of your kid’s youth, don’t make your kids youth all about lacrosse! With the commitment of our well established coaching staff and community service work, our goal for our older participants is to offer a great experience, but more importantly to provide college exposure for the High School student athlete. we also want to show support for our Armed Services, Charitable Foundations, and participate in Community Service Activities with the intent to boost College Resumes. Our Goal for youth players is to develop the skills and comradely within the team to help prepare for High School competition. Focusing on fundamental skills, being a good teammate, and increasing knowledge of the game are our main goals at the youth level. Show support for our Armed Services, Charitable Foundations, and participating in Community Service Activities with the intent to boost College Resumes. Our 8th-11th Grade Program is designed to provide college exposure for the High School Student Athlete. Our teams will participate in several carefully selected Recruiting Tournaments and will be offered a well-established online recruiting service. With the commitment of our well established coaching staff and community service work, our goal for our older participants is to provide college exposure for the High School Student Athlete, but more importantly a great experience that they will remember the rest of their lives.